Are you an RHA President looking to connect and communicate with other RHA Presidents? 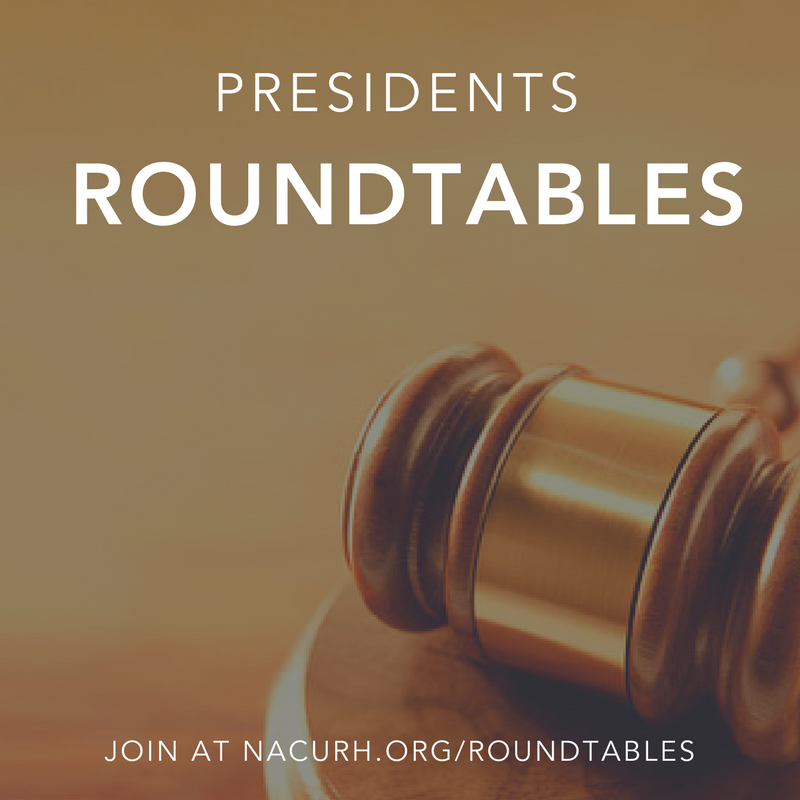 Attend our upcoming Presidents Roundtables to discuss issues that face residence hall students all across NACURH! The above link will be available 15 minutes for the roundtable begins and link directly to our online forum.